Looking for a bit more flexibility when you carry? That is exactly what the Cloak Mod Ruger Security 9 Paddle Holster is built for. 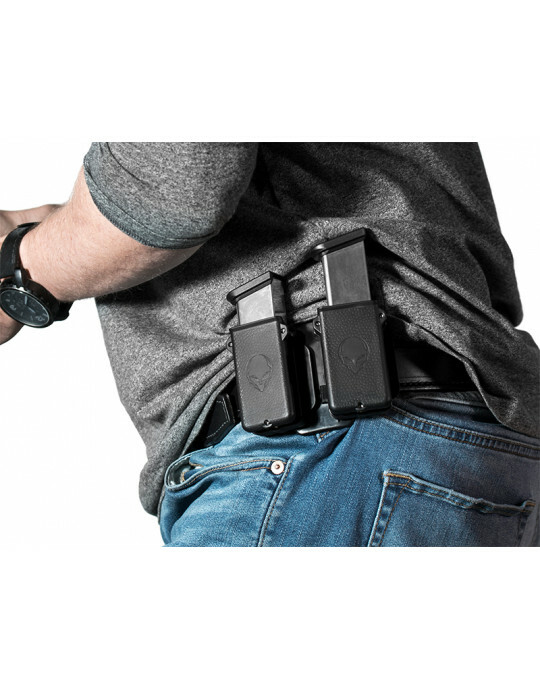 This holster gives you the ability to put your holster on, then take it off at a moment's notice but also the ability to do more with it by changing the belt attachment...and more. The Cloak Mod Security 9 OWB holster features a durable thermoelastomer top layer, helping to keep your pistol secured. A retention bump is on the surface providing additional retention on the trigger guard. The backplate is hard polymer, giving the holster a long service life and making it more stable when carrying with movement. A spring steel flex plate is in the middle to further aid in retention. You'll feel a satisfying "click" when you holster your gun. 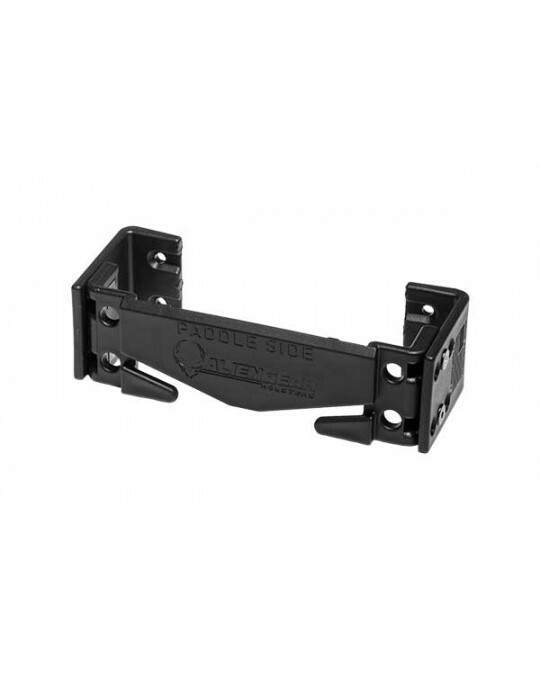 The paddle attachment is contoured, so it can be worn inside the waistband without issue. You'll also notice a retention lip, which creates far more grip than the typical holster paddle. This keeps the holster secure when you walk. However, you aren't limited to the paddle attachment alone. The paddle can be swapped for a belt slide attachment if desired. 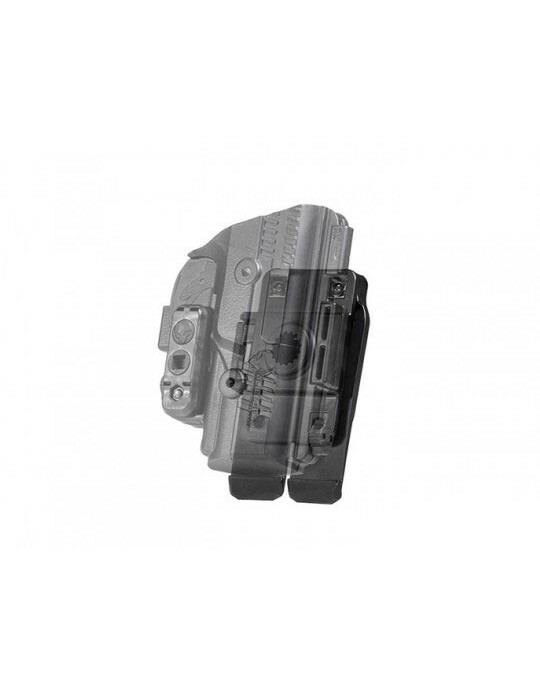 You can also adjust the cant angle, as this Security 9 paddle holster can be set 15 degrees to the positive or negative, or carried with a straight-drop. The versatility doesn't end there. The Cloak Mod is also compatible with the Cloak Dock holster mount, and can be fitted with an adapter for use with our MOLLE or backpack strap mounts, Driver Defense car holster mount, or with our Drop Leg Holster platform. That's a lot of function with just one Ruger Security 9 holster. You also get Alien Gear Holsters' Iron-Clad Guarantee, including our 30 Day Test Drive trial period and Forever Warranty. We'll also trade retention shells with you for as long as you have the holster, in case you trade in your gun but don't want to buy a new holster for it.